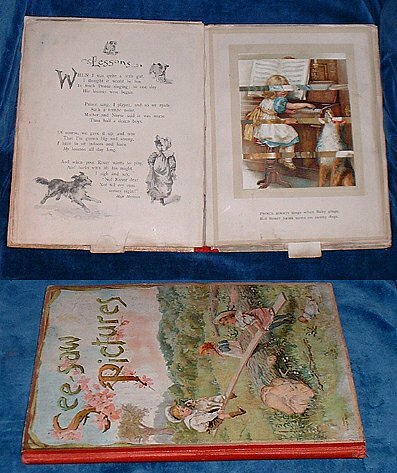 Title: SEE SAW PICTURES a Book of Changing Scenes (with verses by Clifton Bingham). Description: London, Nister 1897 by inscription Tab-activated transformations . . Quarto cloth-backed color pictorial boards (minor surface rubbing) pages with marginal tears but transformations all showing the delightful little children by fine Nister chromolithography at the height of its best period.